UETCL Uganda to cooperate with GlobeCore. Oil Reclamation. Our company is well know in every continent of the globe, and now we are focusing our effort on Africa. 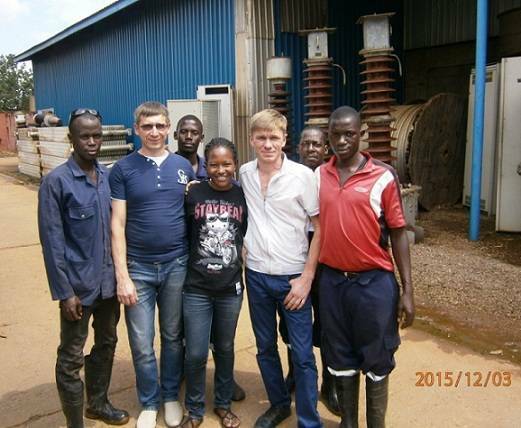 GlobeCore experts Stanislav Sukhar (Export manager) and Yevgeniy Svirid (Oil purification plants lead engineer) paid a visit to UETCL (Uganda Electricity Transmission Company Limited) which expressed interest in teaming up with our company. UETCL operates many remote substations with transformers which fail quite often. 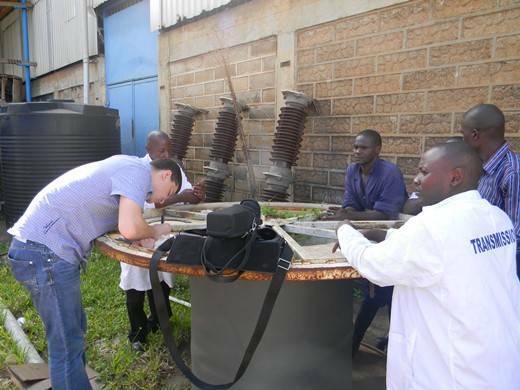 Unfortunately, transformer failures and resulting power outages are still a concern in Uganda. Accoring to Christopher Mutyaba, UETCL Uganda Head of Maintenance Department, reparing or replacing a transformer can take up to six months. Transformer down time is a loss of revenue and a cause for customer dissatisfaction. The Nigerian Power Holding Company, a counterpart to UETCL Uganda , which operates 18 GlobeCore 10000 l/h Mobile Oil Purification Plants, recommended to GlobeCore to UETCL Uganda to upgrade transformer oil purification plants. Among the recent developments in GlobeCore’s oil purification plants is a system addressing the issue of excessive foaming in the vacuum chambers of the plants, which often occurs with oil and contaminated oils.